After hosting two mega events this year – the path breaking Investors Summit and the recently concluded Ground Breaking Ceremony, Lucknow city is once again decked up to host another important event this weekend – the One District One Product (ODOP) summit. A two day event, the One District One Product (ODOP) Summit was inaugurated by President Ram Nath Kovind on 10th August at the Indira Gandhi Pratishthan. 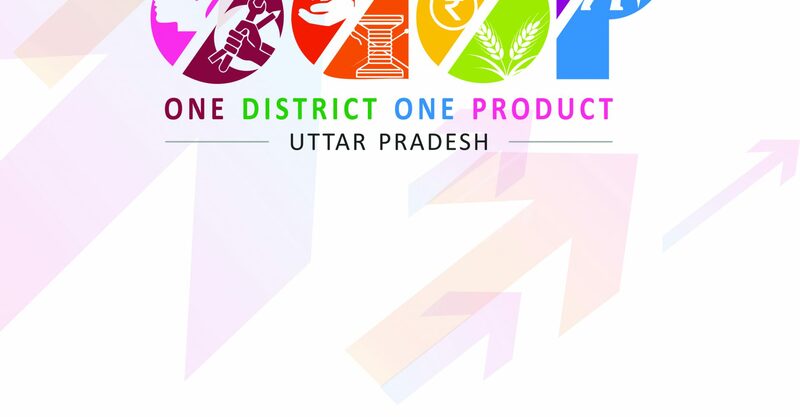 The ODOP scheme is an ambitious project of the UP Government that focuses on job creation and revival of the traditional industries in all the districts of Uttar Pradesh. The scheme is expected to create five lac jobs in the coming days which will benefit the youth who otherwise have to migrate to other cities in search of employment. ODOP will identify the core industries specific to each of the 75 districts and provide marketing and financial assistance. Every state in UP is synonymous with an industry that has long been a part of its identity. But as the society progressed and technology took over, the market was flooded with machine made products. This is slowly fading away our traditional sectors, many of which are on the verge of disappearing. Our handloom industry for instance, is among the largest in the country but has been witnessing a sharp decline in the recent years. The cascading effect of which can be seen in the deteriorating livelihood of the artisans and craftsmen. • Men and women will be given subsidised loans to the extent of 1 lac and 1.5 respectively. • E-commerce giant Amazon is selling Khadi products on its portal under the brand name “UP Khadi”. • Amazon has also committed to provide marketing support and training to artisans and small entrepreneurs from several districts. • An American MNC will set up skill centres in the state. One of them will be at the King George Medical University (KGMU). • Several ODOP outlets and clusters will be launched in public places. • Stamp duty exemptions to those willing to set-up their work under ODOP. A similar scheme was implemented in Japan in 1979, following which it was replicated in Thailand and other Asian countries such as China, Malaysia and Philippines. Given how developed these economies are, it is safe to say that ODOP as a scheme has huge potential to accelerate the speed of development in the state and solve one of its biggest issues – unemployment. How to know more about One District One Product (ODOP)? The inauguration of the summit was telecast live state-wide. In case you missed, watch it on the YouTube channels of the local news channels, such as DD Uttar Pradesh. Uttar Pradesh exhibits great potential and has always been a contributor in the country’s economy and social development. Every district here specialises in a different product – something which makes the state distinct from the rest. It is capable of being a manufacturing centre on its own, all it needs is a push in the right direction. If we successfully implement more programmes like ‘One District One Product’, UP will soon be counted among the developed states in the country. For more info, visit the official ODOP website.